Every year at the ATA trade show, archery vendors display new, never-before seen (or thought of) products for bowhunters. Some of these products may be considered truly innovative, practical, controversial, outrageous, or just plain ridiculous. 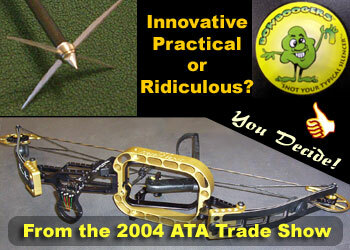 For the first part of our series on the ATA show we are spotlighting unique products that were introduced to the market in 2004. 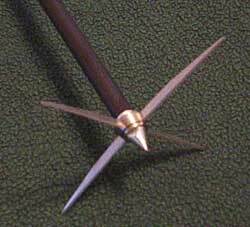 Fixed Blade Broadhead designed to be shot at the head and neck of a turkey. 4" total cutting surface, 125 grains & 100 grains. Hand's free Personal Bow Holder. 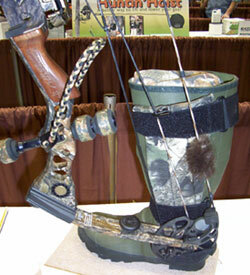 Allows you to sit in your stand with your bow held close, on your leg. 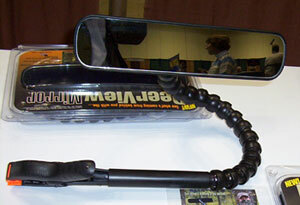 Shatter Resistant panoramic mirror is durable, scratch-resistant and lightweight. Heavy-duty clamp grips securely to stand, branches, etc. Handle is made from fortified Nylon. The stabilizer bar rests on the forearm to prevent the vertical pivot of the handle when drawing. Window shaped upper window riser accommodates right or left handed archer. Patented "Gimble" allows the handle to free float by pivoting horizontally and vertically. True center-shot nocking. 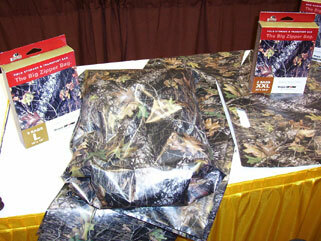 Field & Transport Bags protect your critical hunting items from dust, moisture and heat. Lightweight, flexible, and reusable design is perfect for storage or transport. 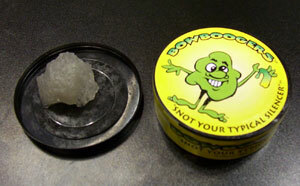 Creates a seal so tight it's air-proof. "If you think the name is disgusting, wait until you touch it" Designed as a bowstring silencer, it dampens vibration and reduces bowstring "twang." 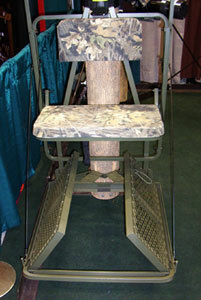 The hinged bottom grants access to the stand without climbing over and around the platform for safety and convenience. Trophy Rock is a 100% all natural trace mineral rock mined from an ancient mineral deposit in the Rocky Mountains. 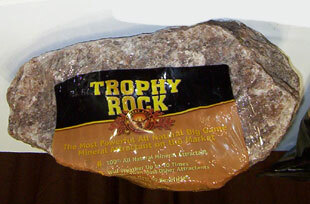 Trophy Rock is used for attracting all big game animals like Whitetail Deer, Mule Deer, Elk, Moose and Antelope. Trophy Rock contains over 50 trace minerals beneficial to antler growth and overall herd health. 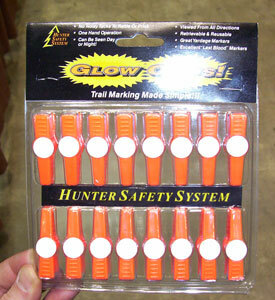 "Glow Clips" trail markers are designed to be seen during the day or night. They can be seen from all directions. They are quiet to carry and won't prick you like a tack does in your pocket . 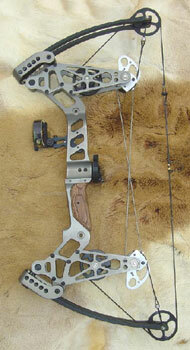 26" Axle to Axle, symmetrical and balanced design insures nock travel is level and free from lateral variations. Positioning of limbs in a near parallel configuration reduces vibration.